The European otter is a semi-aquatic mammal and member of the mustelid family, which includes the badger, stoat and weasel. Otters are now present throughout the UK, having returned to many rivers since the decline in otter populations in the 1950s and 1960s. All inland watercourses and waterbodies in the UK provide potentially suitable habitat for use by otters, including small streams and urban watercourses, as well as many coastal areas. 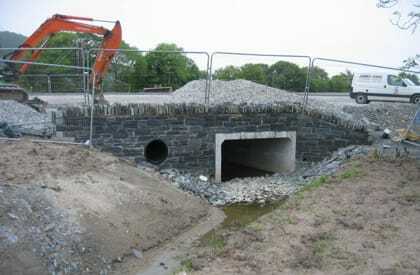 Furthermore, otters will also use habitats away from watercourses and wetlands (such as woodlands) and other linear features, such as dry ditches. 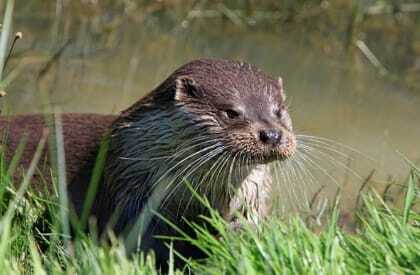 Otters use ‘resting sites’, which are structures or places used for shelter or protection. They are normally found close to watercourses or water bodies, but have also been recorded at some distance from wetland habitats. Resting sites can be above-ground (known as couches) or below-ground (holts) and can be found in urban as well as rural locations. Surveys can be carried out throughout the year but evidence of otters is often easier to find during the spring before vegetation establishes and as water levels recede, exposing wet mud where paw prints are more easily observed. Surveys should be postponed after periods of heavy rainfall and/or flooding to allow time for signs to re-appear. As otter activity is subject to seasonal variation, several surveys throughout the year may be required in order to determine impacts. Survey effort should be appropriate to the scale of the development and likelihood of impacts. Otter presence can be established by signs such as droppings (‘spraints’), feeding remains, footprints and pathways, including slides. It is therefore important to use a suitably experienced ecologist who recognises otter field signs and understands otter ecology. 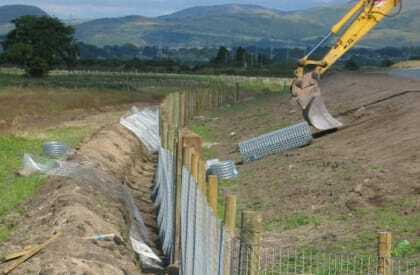 Richard Green Ecology are expert in otter ecology, having worked with otters across the UK for over 25 years, on river catchment otter improvement schemes, highways and development schemes and dealing with problems with otters at freshwater fisheries. We provide the full service, from initial site assessment to more extensive surveys, mitigation design and implementation.